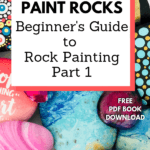 In this Part 1 of How to Paint Rocks Beginner’s Guide, you’ll discover the joys of rock painting and gain confidence in your artistic ability. What exactly is rock painting? 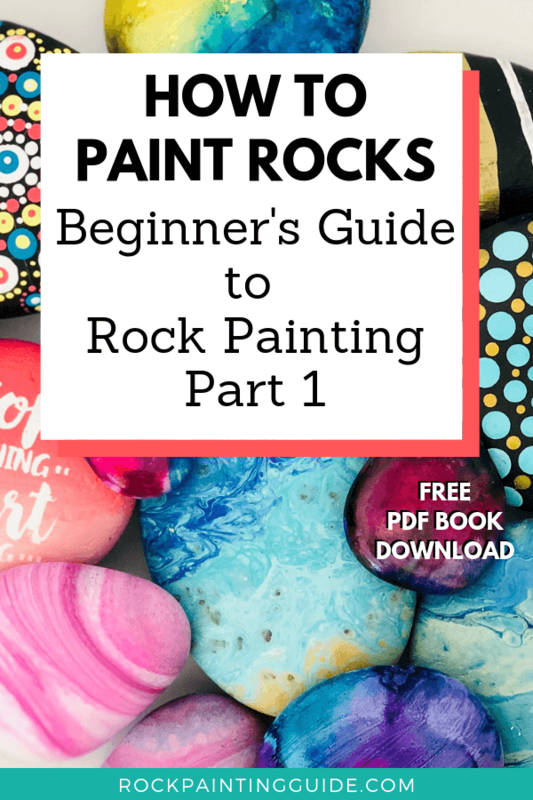 In the following guides, I’m going to breakdown rock painting into its most basic parts and walk you through acrylics, best art supplies, painting techniques, and understanding color theory. Have you ever wondered how art can impact your life? 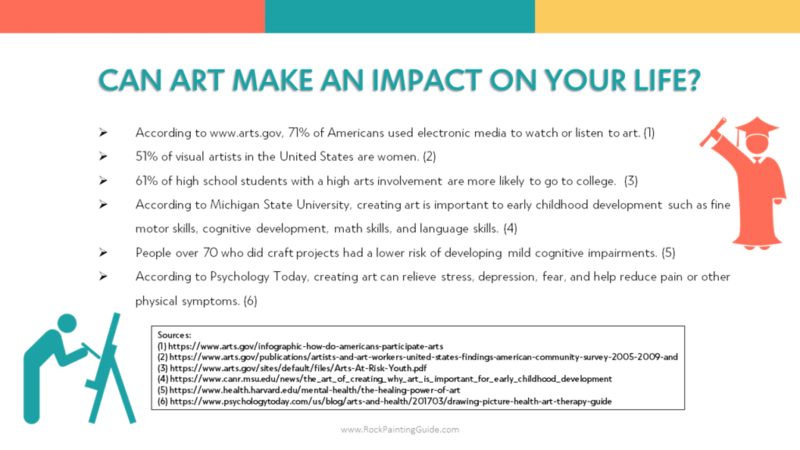 According to arts.gov, 71% of Americans used electronic media to watch or listen to art. 61% of high school students with high arts involvement are more likely to go to college. 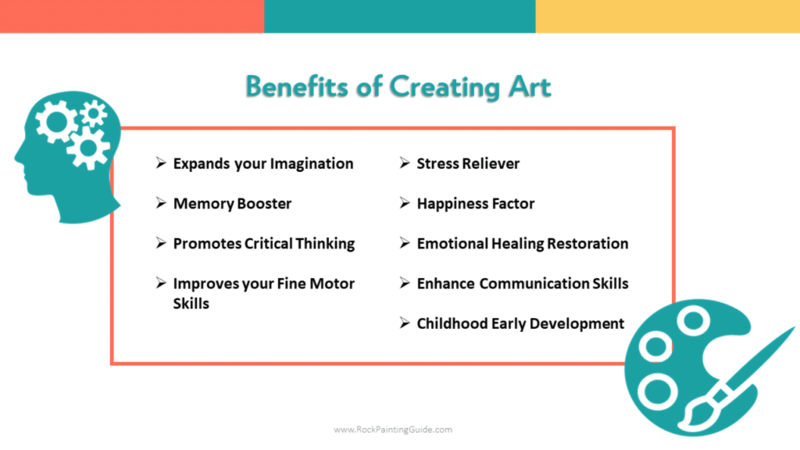 According to Michigan State University, creating art is important to early childhood development such as fine motor skills, cognitive development, math skills, and language skills. People over 70 who did craft projects had a lower risk of developing mild cognitive impairments. 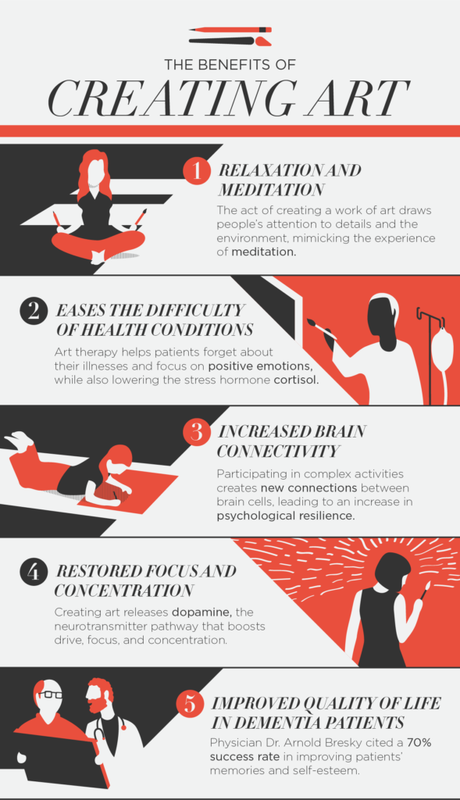 According to Psychology Today, creating art can relieve stress, depression, fear, and help reduce pain or other physical symptoms. Let’s first talk about What Rock Painting is and how it came to be. Rock art is the earliest form of human-kind creativity. In archaeology, the term, rock art is considered human-made markings placed on natural stone. Rock Art can be found in many regions all over the world. This rock art depicts myths, legends, rituals, religion, and types of area maps such as mountains, rivers, and lakes. These works of art show a living landscape of life back then. 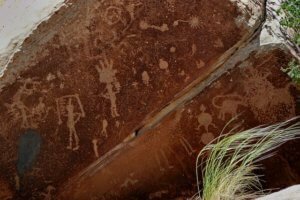 A pictograph is the first form of painted rock art which dates back to the Upper Paleolithic period. Pictographs paints were made with natural minerals combined with a liquid such as water, blood, urine, or egg yolk. These early artists would use their fingers, handmade brush or stamps. Today, rock painting is a way of being creative by expressing yourself with art. The simple act of applying paint to rock to create art is something as old as time. Painting on canvas can be a little imitating and overwhelming when painting art on large areas. However, this is not the case with rock painting. The best part of rock painting, is that it gives the artist a smaller safe space to create without feeling lost in such a large space. Learning how to paint rocks is simple and everyone can do it. Another bonus is that you don’t need a lot of materials to get started. On the upside, rocks can be free, just look in your own backyard, but if you live in an area that rocks are not in abundance, no fear you can buy some from rock yards or local improvement stores. 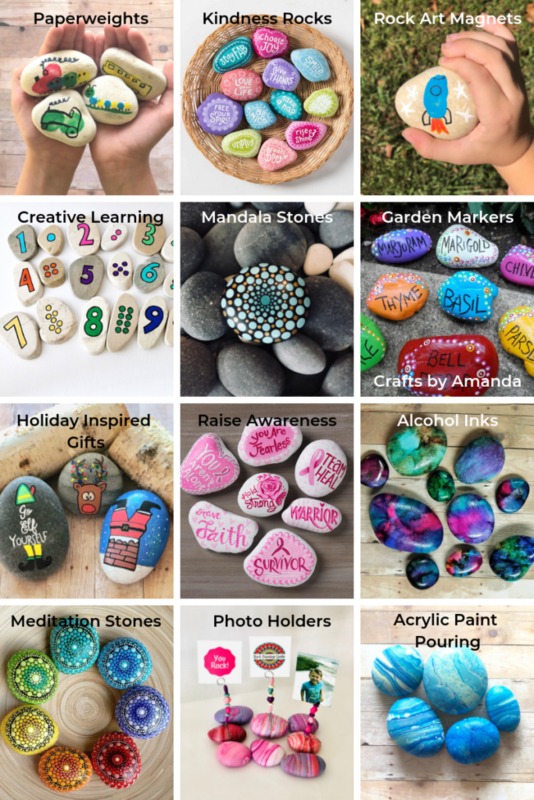 What is Kindness Rocks Project? Kindness Rocks Project motto is “One Message at just the right moment can change someone’s entire day, outlook, life”. That is such a powerful statement and everyone has that chance to change someone’s life that may really need that message at the moment in time. 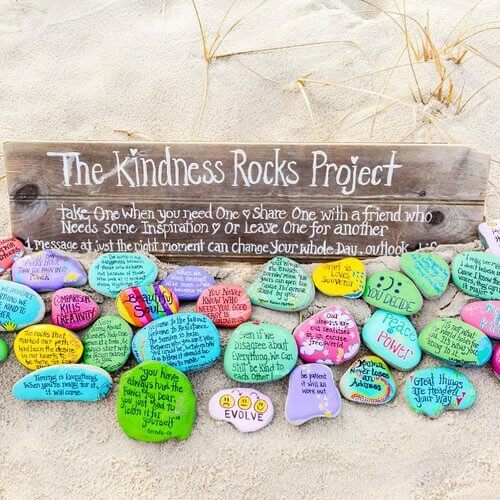 Megan Murphy, the founder of the Kindness Rocks Project began leaving messages and inspirational words on rocks and leaving on the beaches of Cape Cod for people to find and to make a difference in their life. The Kindness Rocks Project has grown to many cities across the US and aboard to other countries as well. If your community has a Kindness Rocks Project, join the movement by painting rocks and leaving them for others to find. To find out if your community is a part of this project, search Facebook for rock groups in your area, then join and be a part of this inspirational movement. 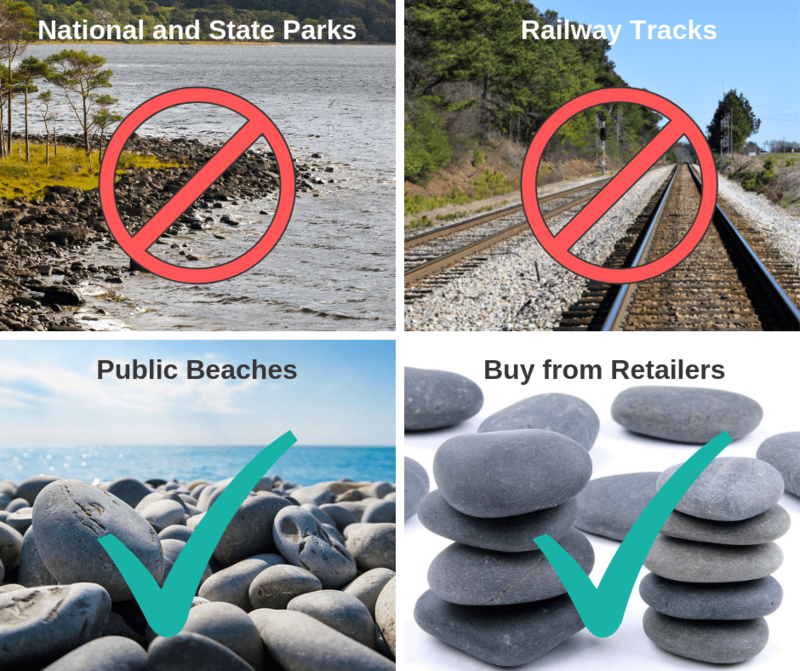 Please be aware that there are areas that are illegal to remove rocks from such as, National and State Parks, waterways, and railway tracks. Leaving painted rocks and removing rocks for painting from National and State Parks is prohibited. Consider finding on public beaches and even buying stones from local garden centers or rock yards. If you participate in the Facebook rock group, check with the group administrators about guidelines on where hiding rocks are allowed. Hiding painted rocks in hospitals and businesses are typically not allowed unless given permission to do so. 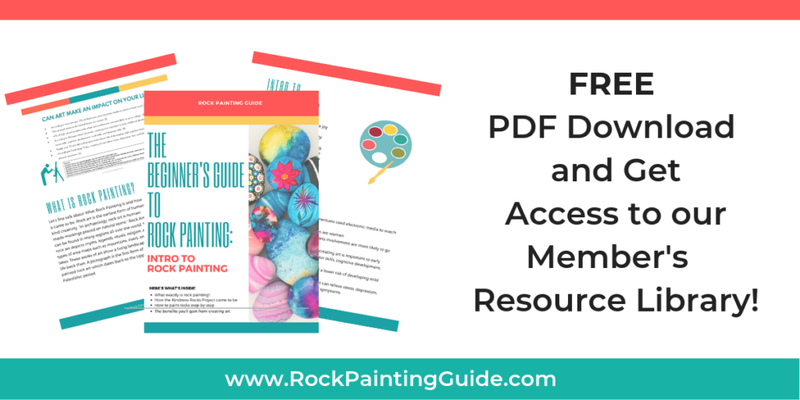 Join Rock Painting Guide’s Facebook Group, here! Is Rock Painting for Everyone? The answer to that question is of course, yes! You don’t have to be a talented artist to paint, you just need the desire to pick up a brush and just start. Learning the fundamentals of painting techniques will take practice and over time you will develop your own style. Children’s art is art in its purest form. Without guidance, kids can just have fun with painting without judgment. Starting a new hobby, like how to paint rocks isn’t impossible but practice is key to improving your skills. As I said, rock painting is for everyone, art doesn’t discriminate. Rock painting is easy and doesn’t require a lot of materials to get started. Below, you will see how easy it really is to paint rocks. Rocks are free if you know where to look. Part of the fun of rock painting is using the hunt and gather method to find rocks to create beautiful rock art. The ideal rock for painting is smooth flat rocks. On the other hand, choosing rocks that have irregular shapes can spark inspiration for beautiful art. Consider looking for rock on the public beaches and even buying stones from local garden centers or rock yard. Once you gather enough rocks, you will have to wash with soapy water to remove any dirt and/or debris remaining and let the rocks dry in the sun before painting. Base coating your rocks is optional but, it’s recommended that you include this in your prep time. While you’re waiting for “paint to dry”, it’s the perfect time to plan your design and gather your supplies. Now comes the fun part, painting your rocks with your creative ideas that you planned in the prep stage. Whether it’s a free-hand design or a traced image, it’s your rock and you decide how to design it…even the experienced artist use tracing methods. Be creative and think outside the box! There are many options available to choose from to create your rock art by using acrylic paints, marker pens, alcohol inks, dotting tools, and so much more! Protecting your rock is a step that shouldn’t be forgotten. After your painted rocks are dry, use an aerosol spray sealer. Seal your painted rocks outside, even in a well-ventilated area, the smell can be overwhelming for many. Sealing the painted rocks will provide a moisture barrier to protect your painted rocks from being faded or damaged over time. Can Painting Impact My Well-Being? The answer to that question is of course, yes! Most people, in their youth, lock themselves up in right-brain or left-brain boxes and continue to live that way for the rest of their lives. Individuals who are artistic, right-brainers use painting as a natural way of improving their creative skills. People who consider themselves as analytical thinkers, left-brainers, can expand and nurture their creativity by starting an artistic hobby. Improving one’s imagination is an important role in the brain’s development. It is widely known that painting improves creative skills; however, most people don’t realize that it also promotes critical thinking. When an artist begins the painting process, they can sometimes face certain challenges. For example, the tone it represents can change or color choices change. When that happens, we need to use our problem-solving skills and think outside the box to create new solutions for better outcomes. The frequent handling of paintbrushes and the gentle swish and swash of the hand fosters mobility in fingers and the hand in general. Art has the potential to improve your mobility. Hand and eye coordination are essential when painting, which results in the brain sending signals to the motor neurons for instruction on what to do when to do it, and how to do it. Stress is without a doubt a condition that everyone has to deal with. Increased levels of stress and anxiety have contributed immensely to mental-health issues. Therefore, painting can be an emotional release for people struggling with stress. As one focuses on painting, their mind becomes relaxed, and they soon let go of all their problems and demands that serve to fuel stress and anxiety in their lives. 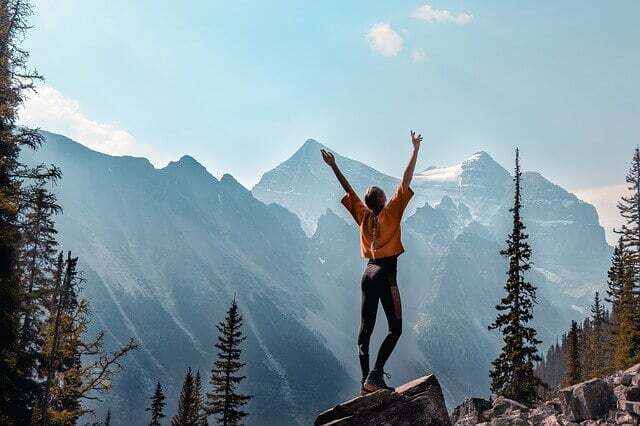 When an individual becomes less stressed, their lives and general well-being becomes happy, healthier and moreover, increased mental fortitude. That is the magic of creating art. As we create beauty through artwork, our approach towards life becomes more optimistic. Art has never been about negativity; it’s all about positivity and positive outlooks in life. This “happiness factor” waters down negative emotions which provides pleasure and joy. In addition, rock painting boosts their self-esteem and inspires them to achieve new levels of skill. Aside from the previous benefits of painting think about how art can improve communication with other people. Since art is all about expression, painting can help express feelings and emotions without words, Painting can also be viewed as surpassing weaknesses like overcoming shyness, and can help with other social disabilities. Since it’s a continuous process, painting can be seen as a long-term solution and can also be picked up as a way of life for those struggling with such social disabilities. Art activities can benefit early childhood development by enhancing fine motor skills, cognitive development, math skills, and language skills. Given the amazing health benefits with painting, creating art is useful in promoting the well-being of an individual. In addition to improving the mental and emotional capabilities of a person, painting also improves sensory and motor skills. All of this through constant practice and skill development. Life itself presents us with difficulties and sometimes you just need to pick up a brush and begin with a single stroke. You’ll find out everything you need to about using acrylic paint, sealers, the right tools, and how to use them.